What would life be like without stories? Sitting at yer Gammer's knee, listening wide eyed as she spun those tales which sent shivers up yer spine. Yet, what would happen if'n they were forgotten? 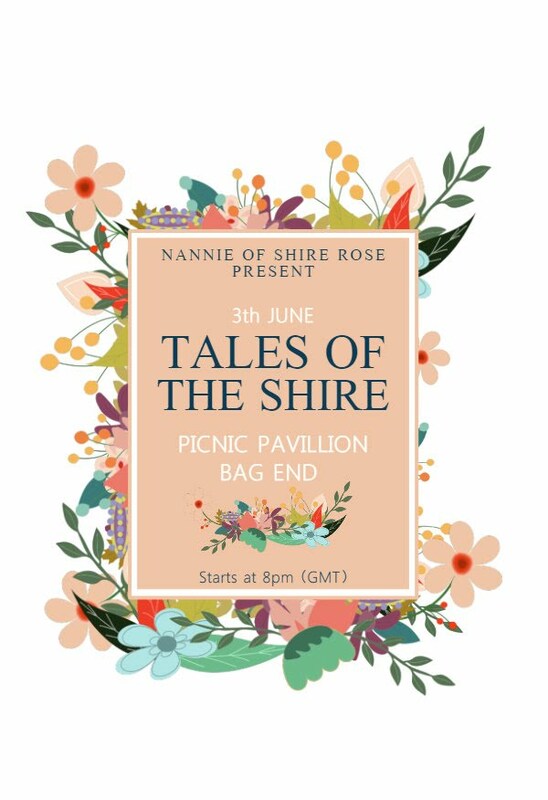 Ah invites ye all ter come tergether, bring a tale ter share or come just to listen. Yon night is open ter all. This time we'll meet above Bag end, food is planned and the table set. What a grand night we'll have!